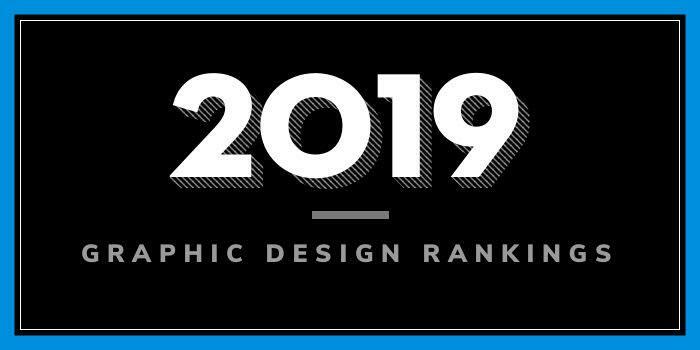 Our 2019 rankings of the top graphic design schools in the Midwest. We considered 251 colleges in the midwest with graphic design programs for this year's rankings. For an explanation of ranking criteria, click here. We define the Midwest as Ohio, Michigan, Indiana, Illinois, Idaho, Wisconsin, Minnesota, Iowa, Missouri, Kansas, Nebraska, South Dakota, and North Dakota. 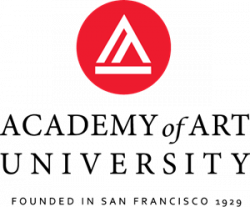 The School of the Art Institute of Chicago (SAIC) was founded in 1866 as the Chicago Academy of Design. It is one of the oldest accredited independent schools of art and design in the country. Home to 3,650 students enrolled in more than 25 programs, SAIC offers several programs for aspiring graphic designers through its Visual Communication Design Department. Options include a BFA, MFA or Certificate in Graphic Design. The BFA program has two major areas of focus including Physical Media (print, objects, and environments) and Virtual Media (interactive and time-based media). The MFA program offers the opportunity to explore other related departments at SAIC such as Printmedia, Writing, Photography, Architecture, Interior Architecture, and Designed Objects, and Film, Video, New Media, and Animation (FVNMA). The purpose of this opportunity is to “extend students’ design work into new territories.” The Graphic Design Certificate is designed for “students with an interest in exploring graphic design with an emphasis on print media,” says the Department. Other Graphic Design Program highlights include an active AIGA (American Institute of Graphic Arts) student chapter, Exploratory Languages (a lecture series featuring leading designers and design educators from across the country), and CIPB (Chicago International Poster Biennial), which is an international competition representing leading designers from throughout the world. Internship opportunities and the option to study abroad are other highlights. The University of Illinois at Chicago (UIC) was formed in 1982 by the consolidation of two U. of I. campuses: the Medical Center campus, which dates back to the 19th century and the comprehensive Chicago Circle campus which replaced, in 1965, the two-year undergraduate Navy Pier campus that opened in 1946 to educate returning veterans. Serving nearly 31,700 students, UIC is the largest university in Chicago. The school, which has regional campuses in Peoria, Rockford, Springfield, Urbana, IL, and The Quad Cities, offers 248 degree programs and 32 certificates across 15 colleges. The College of Architecture, Design, and the Arts houses the School of Design, which offers a Bachelor of Design (BDes) and a Master of Design (MDes) in Graphic Design. The four-year BDes program highlights studio-based instruction, while the two-year MDes focuses on an independent master’s research project. A third option is the MDes Prelim Program. Offered to applicants who do not hold a bachelor’s degree in design, the Prelim Program is a customized yearlong program that prepares students for the two-year MDes. Columbia College Chicago was founded in 1890 as the Columbia School of Oratory. The school offers a distinctive curriculum that blends creative and media arts, liberal arts, and business to nearly 7,000 students in more than 60 undergraduate and graduate degree programs. Programs for aspiring graphic designers include a BA and a BFA in Graphic Design. Per the school, BA students take fewer credit hours in the major and are encouraged to choose a minor or double major in another program such as Fine Arts, Photography, Advertising, or Motion Graphics. BA students choose a concentration in one discipline such as Web Design, Publication Design, or a general concentration. The BFA requires more advanced courses in graphic design than the BA. Students in this degree track do not choose a concentration and take courses across disciplines including Web Design, Publication Design, and Visual Identity. A second BA in Graphic Design is available if a student has already earned a bachelor’s degree. Students in both programs will have the opportunity to intern at firms such as Leo Burnett, one of the largest advertising agencies in the world, with clients like Procter & Gamble, Foote, Cone & Belding, a global advertising agency with clients around the world, Pivot Design, an award-winning branding, marketing, and advertising agency, Pressley Johnson Design, one of the premiere design communications firms in the Midwest, and 50000feet Creative Agency, a firm that has worked with some of the top brands in the U.S.
Kent State University (KSU or Kent State) was founded in 1910 and it is home to more than 38,000 students (in an 8-campus system) enrolled in more than 300 degree programs across dozens of colleges and schools. The College of Communication and Information, School of Visual Communication Design, offers several programs for aspiring graphic designers including BFA, MA, and MFA degrees in Visual Communication Design and a Design Minor. Per the School, the BFA program consists of approximately two-thirds of the coursework in the "creation and study of the visual arts," with the remainder in general studies. Because of the greater emphasis on upper-level studio courses, the BFA allows majors the opportunity to build greater expertise in a given area of the field. The Design Minor provides students with “grounding in the fundamental elements of graphic design, including design research and history, graphic software, industry standards and professional ethics.” All School of Visual Communication Design students must complete 300 hours of internship before graduation. Most internships are paid, and students have the opportunity to work at major companies across Cleveland and in Chicago, San Francisco and New York. The College for Creative Studies (CCS) was established in 1906 as The Detroit Society of Arts and Crafts. The school serves 1,425 students enrolled in over a dozen degree programs across 14 academic departments. With an enrollment of more than 100 students, the Graphic Design Department is the fifth largest department at CCS. Degree options for aspiring graphic designers include a BFA in Graphic/Communication Design, Interaction Design or Motion Graphics and MFA degrees in Interaction Design and Integrated Design. Degrees that complement Graphic Design include BFAs in Advertising: Copywriting, Advertising: Design and Fine Arts. All students have the opportunity to study abroad for a semester or a year in places such as Italy, Austria, Germany, Mexico, Paris, Australia, and more. Graduates of the Design programs at CCS are prepared to work in Graphic Design, Editorial Design, Environmental Design, Information Design, Interactive Design, Package Design, Publication Design, Web Design, and many others. Founded in 1819, the University of Cincinnati (UC) is home to nearly 46,000 students enrolled in 370 degree programs across 13 colleges and a graduate school. The College of Design, Architecture, Art and Planning (DAAP) houses the Myron E. Ullman Jr. School of Design, which offers a BS in Communication Design. The program, which takes five years to complete, offers three Concentration areas including Graphic Design, Motion Design, and Interaction Design. Besides the BS in Communication Design, aspiring graphic designers might consider another program offered through UC’s Blue Ash College. The Art and Visual Communication Department here offers a two-year Associate Degree in Applied Graphic Communication. The program is designed for “students seeking foundational skills appropriate for further study in the design field or for employment in areas of design support.” Classes are small, so students receive considerable personal attention and direction from faculty. Though the program is a two-year degree, students may take up to three years to complete the program. Established in 1867 as Illinois Industrial University, University of Illinois at Urbana – Champaign is one of the original 37 public land-grant institutions created after President Abraham Lincoln signed the Morrill Act. The school serves nearly 48,000 students through 15 colleges and instructional units. The College of Fine and Applied Arts, School of Art and Design offers a 122 credit hour Graphic Design program that leads to a BFA. A 64 credit hour MFA in Art and Design with a Concentration in Graphic Design is also available. Per the school, students in the program “engage with complex problems and are asked to identify opportunities where design can intervene.” Studio work for the program “addresses graphic design fundamentals (typography and image making), design history and contemporary practices, research methods, user experience, and social responsibility.” Students also have the opportunity to refine their degree by choosing from an interdisciplinary selection of elective courses including advanced interaction design, photography, traditional printmaking, sustainability, and video, and the design of Ninth Letter, a nationally-distributed and award-winning literary arts journal. MFA students have access to individual studio space and specialized resources “essential to the acquisition of a high-quality professional education.” The program requires a graduation exhibition of creative work and a written thesis and admission to the program is determined by a faculty review of a portfolio of the applicant's creative work, records of previous education and experience, letters of recommendation, and other significant achievements that may be viewed as predictors for success in the program. Minneapolis College of Art and Design (MCAD) was established in 1886. The school serves 800 students enrolled in Design (50% of the student body), Media Arts (38%), 10% in Fine Arts, and the remaining 2% in MCAD’s new Arts Entrepreneurship Department. More than 20 programs are available across several departments, including a BFA in Graphic Design, Post-Baccalaureate Certificates in Graphic Design and Interactive Design and Marketing, and an MFA in Visual Studies. A 30 credit hour MA in Graphic and Web Design (online) is also available. Per the school, students in the 120 credit hour BFA program will develop their own voice and produce original work, they will Research, engage with, and create innovative concepts, content, and form, and learn to communicate ideas visually. Students will also refine their technical and conceptual design skills in preparation for a professional career in graphic design. The 60 credit hour MFA program allow students to pursue creative work in Graphic Design, Illustration, Interactive Media, Paper and Book Arts, Printmaking, and many others. Students in all graphic design programs have the opportunity to gain practical, real-world experience through a required internship. The option to study abroad or elsewhere in the U.S. is also highlighted. Established in 1885, Kansas City Art Institute (KCAI) has a 130+ year history that includes notable name such as Walt Disney, who took classes there as a child, multimedia artist Robert Rauschenberg, who studied fashion design, writer Robert Morris, and performance artist and fabric sculptor Nick Cave, to name a few. Besides a long list of notable alumni and students, KCAI offers 14 academic disciplines in Art, Design and Media to a population of nearly 700 students. The Printmaking BFA covers the traditional printmaking processes and concepts including etching, lithography, drawing, collage, silkscreen, letterpress and book arts, as well as post-modern processes, including mass media, collaboration, simulation, appropriation and dissemination. All programs offer access to KCAI’s internship program, three to five week long faculty-led travel programs, and full semester programs that can take them to one of several participating art and design colleges in the U.S. or overseas. The Ohio State University (OSU) was established in 1870. The school serves 68,100 students enrolled in more than 200 majors, specializations, and minors across 12+ colleges and schools. The College of Arts and Sciences is home to the Department of Design, which offers a Bachelor of Science in Design (BSD) in Visual Communication Design and a Design Thinking Minor. The Design Thinking Minor is a 15 credit hour program introduces students to new and creative ways to solve problems. Courses include Design Practice, Design History, Exploring Design Thinking, Visualization as Thinking, and Presentation as Thinking. Graphic design students who would like to pursue graduate study at OSU have two options: the MFA in Visual Arts offered through the Department of Art and the MFA in Digital Animation and Interactive Media offered through the Department of Design. The MFA in Visual arts has two emphasis areas: Art and Technology or Printmaking. The 72 credit hour, three-year program allows students to work across disciplines and with faculty from all seven studio areas offered in the MFA program. The MFA in Digital Animation and Interactive Media allows students to select courses in visual design, technical skills for animation and interactive media, programming and algorithms, audio design, writing and scripting, and professional development.